As predicted by us here at Digital-Football.com, 2012 was a decisive year for football clubs to embrace social media as a main communication channel with fans. Clubs are not only educating and motivating players to use social media channels: top European clubs have understood the potential benefits of promoting their stars’ presence on social media websites. It may feel a bit strange to see the number of Facebook followers of FC Barcelona (38M) is lower than Messi’s (40M). 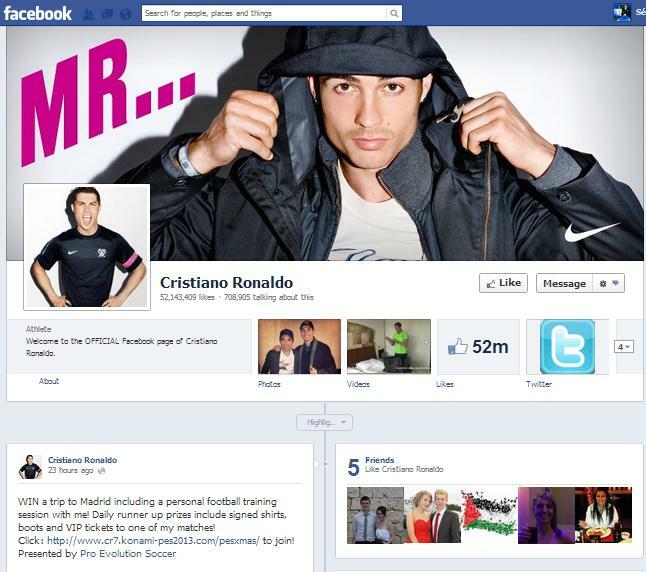 The same happens with Real Madrid‘s number of Facebook fans (34M) comparing with Cristiano Ronaldo (52M). Personal brands have been understood as fundamental weapons to leverage a club’s brand. This has been particularly agreed and adopted since the year 2000, when Florentino Perez won Real Madrid’s presidency for the first time with the promise of creating a team of “Galacticos”. At a first sight, it may well look like the individual player is greater than the club but, in what comes to sports marketing and social media, it may very well be this way. Many world-wide fans follow and support their clubs in their own national leagues, complementing it with the tendency of following one or two world-class players of their liking. One needs only look to Asia (the commercial and marketing success of Park Ji-Sung in the UK or Nakata in Italy have become classic case-studies in sports marketing Universities) and look at how European players are being keenly followed away from home – David Beckham or Robbie Keane being a good example for LA Galaxy. In Portugal, it has been curious to observe the market’s preferences in the past decade: TV shares of Manchester United and Chelsea were incredibly high when Ronaldo and Mourinho were starring in the Premier League. Now, Real Madrid seem to be every Portuguese fan’s second club: after Benfica, FC Porto and Sporting Lisbon, Real Madrid’s matches have the biggest TV-shares. Why? Because they have Portuguese personal stars: Mourinho and Ronaldo. Top European clubs have understood this tendency and take advantage of the online world, namely social media sites, to promote their stars and help develop their own communication channels. Indeed, these channels will lead to more awareness and engagement, both with the players and the club. It basically means what firms and advertisers are looking forward to hear: “more audience”. More audience will eventually be reflected on the club’s direct sales – shirts, merchandise – and indirect sales such as new sponsorship agreements and TV broadcasting rights. It’s a win-win situation that definitely proves one thing: social media is continuously changing the game. How can Virtual Reality be used in Football? Manchester United finally join Twitter – Why did it take so long? Football Clubs and Blogger Outreach. Where is it? Digital-Football.com are proud to work with Digital Consultancy leaders 'acuity' digital consultants on Content, Search & Social strategies. 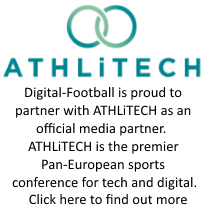 Digital-Football.com – Football Social Media & Digital Sports news © 2019. All Rights Reserved.